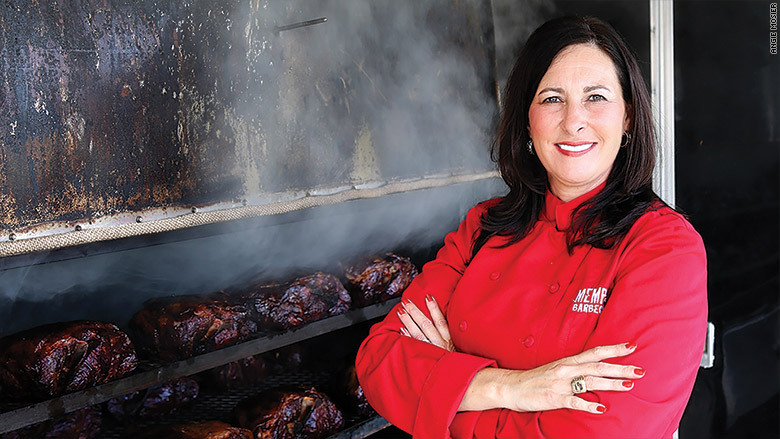 American BBQ is a booming business, but you don't find many women behind the pit. Enter Melissa Cookston. At a time when female leadership is hotly debated national topic, Cookston is breaking into the "boys club" of barbecue, says Pamela Denney, food editor of Memphis Magazine. "It's hard to talk about her without talking about how Melissa infiltrated what really was for a long time a boys' club," says Denney. "She's been able to stand shoulder-to-shoulder in a man's world." Her bio speaks for itself: Cookston, 46, is a two-time winner of the top prize at the Memphis in May World Barbecue Championship. She's also a successful food entrepreneur who opened three Memphis BBQ Co. restaurants. She has 300 employees, a cook book and is looking for locations to open a fourth restaurant. She pulled in between $10 million and $15 million in sales last year. A native of Greenville, Miss. (150 miles south of Memphis), Cookston was introduced to barbecue by her husband Pete. They went to a BBQ contest when they started dating. Cookston began experimenting on her own and entered her first contest in her late 30s. Now she teaches men how to smoke meat. "I'm just preaching the gospel of barbecue," Cookston says. "I do what I love." Breaking barriers: When the "macho men" at BBQ competitions urged her to cook ribs instead of whole hog, considered the hardest meat to cook, Cookston went for whole hog. She's won the whole hog competition, a specialty contest at Memphis in May, four of the past five years. Despite the perception of BBQ as a male dominated field, Cookston doesn't sense much gender bias at the contests. The bigger problem, she says, is in her restaurants. She has noticed a double standard as a female boss with lots of men working for her. "I get challenged quite a bit and probably don't get the respect that I deserve," Cookston says. "If I were a 6-foot, 200-pound man, there would be no questions asked." Cookston is no stranger to restaurants. Her first jobs were in food prep, and her career began as a regional manager for major chains, including Apple Bee's, Lone Star and Ruby Tuesday. In 2007, she and Pete quit their jobs, hit the road and cooked in BBQ contests across the country. 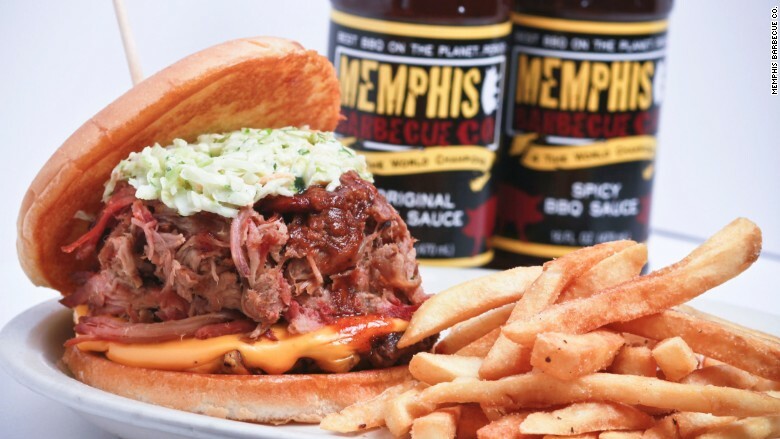 Their contest success eventually led to the first Memphis BBQ Co, which opened in 2011. Taking the heat: Barbecue in Memphis is a hotly debated topic, and Cookston isn't without critics. Her restaurants have a "corporate" style of barbecue because Cookston's work history in national chains, says Roger Sapp, co-owner of Central BBQ, one of the most popular smoke joints in Memphis. Sapp, who opened his restaurant before Cookston, says that her 'cue isn't original. "They came in after us and copied us a little bit, I think restaurant-wise," says Sapp, who emphasizes Cookston is a great competitor. "They have corporate experience and they may have contest experience, but they don't run a restaurant as good as we do." Cookston deflected the criticism, saying Sapp, 66, might be jealous of her success. "It sounds like a lot of sour milk," Cookston says. "Everything we do here is original."